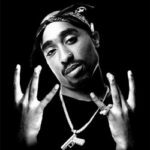 West Coast Until I Die!!! The days of West Coast dominance in the rap game seems like an eternity ago. The East Coast had its run in the beginning, but for about a decade and a half, the Left Coast has changed the face of Hip-hop. The story telling over some of the best funk influenced beats hypnotized a nation and eventually the world. The rebirth of funk was back in a major way with producers using innovative sampling of Groups such as Parliament Funkadelic, The Gap Band, Sly and the Family stone, Con Funk Shun and Zapp and Roger. The music industry had no idea of the impact it would have on hip-hop. The story of the origination of the West Coast sound can originally be traced back to a group by the Name of Uncle Jamm’s Army, who in 1983, adopted a sound that was unique and different from what other artist were doing on the East Coast. The metamorphosis was not complete because in the mid-eighties, an artist by the name of Mixmaster Spade and the Compton Posse would give the LA area the earliest form of Gangsta Rap. Let’s not forget the track that defined Gangsta rap for most west coast rap junkies, Ice T’s “6 ‘N the Morning solidified the direction of hip-hop on the Left coast in 1987. This song paved the way for an essentially unknown Compton group to introduce themselves to the main stream public. America said hello to NWA in 1988, and at that moment, the inner city invaded the homes of upper-class and middle-class suburbia. Seemingly, for the first time, listeners were able to experience what every inner city adult and child had seen for years. America had a dark side, and for the first time that image was being broadcasted to the masses. Straight out of Compton got my attention for one reason and one reason alone: these brothers were talking about what I see every day in my neighborhood. I was finally able to relate to what I was actually hearing on the radio. I was hooked and I never looked back. The West Coast essentially dominated the rap world for about a 12 to 15 year span, but in that time the true essence of music, as it was intended, moved a nation. In 2000’s the sound began to change in large part to the rise of the South’s dominance in hip-hop. In the mid-2000’s the influence of the South lead artists to adapt their version of southern rap style and the Hyphy movement was born. I love Hyphy music but I think this is where the coast got away from their roots. The formula has been changed and I wonder how long it will take us to get back to our roots. The West Coast is not dead, and I think that in time, it will return to the throne as king of the hip-hop world. I hope that artists realize sometimes it is best to stick to what you do best.